What is the prospect of the domestic tool market? Global machinery, automotive, aerospace, energy, medical, rail transportation, die and machine tools and other industries are indispensable tool equipment. Judging from future development trends, the global tool market is expected to grow by 3% to 5% over the next five years. With this growth rate, we are still ranking the world's number one spot. From the perspective of the supply of domestic tools, domestic tools occupy the mainstream position, up to 65%. Most companies have moved from the traditional tools into the modern cutting tool industry, and they have developed well every year. They have entered a period of rapid growth. This is a very good performance. 1. The application of cemented carbide materials The increase of cemented carbide materials is still a major member of tool materials, and it is also one of the tool materials developed by tool manufacturers in various countries. At present, the application of cemented carbide materials has made significant progress. 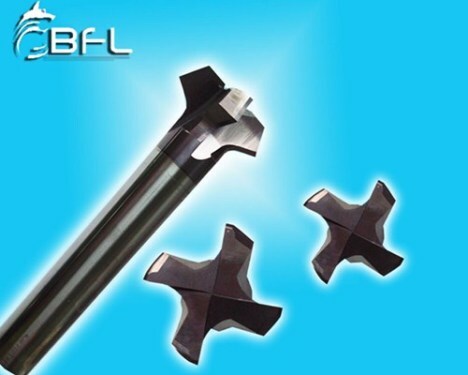 The development of fine-grained, ultrafine-grained cemented carbide materials is the development direction for further improving the reliability of tooling, nano-coating, gradient structural coating, and new structures and materials. Coating is the development direction to improve tool performance. The application of physical coating will continue to increase. The toughness of pure ceramics, cermets, silicon nitride ceramics, PCBN, PCD and other tool materials will be further enhanced, and the applicable applications will gradually increase. .
2. The development of more targeted universal brands and common structures is no longer the focus of the research and development of tool manufacturers. In the face of complex and ever-changing applications and processing conditions, the more targeted insert geometry, brand and supporting tools will replace Universal slotted, branded inserts and knives. This will have a significant effect in improving processing efficiency, processing quality, and cutting costs. 3, rapid development of cutting technology High-speed cutting, hard cutting, dry cutting continue to develop rapidly. High-speed cutting, with its unique mechanism different from traditional speed cutting and its remarkable effect in improving machining efficiency, improving processing quality, reducing cutting distortion, and shortening the processing cycle, will surely increase the application in the manufacturing industry. The demand for high-speed cutting tools Will increase further. Hard cutting is a new processing technology. Its unique role in improving processing efficiency, reducing processing costs, and reducing capital investment in equipment is a unique challenge. It challenges the traditional grinding process, and â€œChang Dai Moâ€ will become one of the development trends. . Dry cutting as a green manufacturing process has many advantages compared to wet cutting, but there are also disadvantages such as increased cutting force, increased cutting distortion, reduced durability, and unacceptable quality of workpiece processing, but by analyzing various specifics of dry cutting. The boundary conditions and various factors affecting dry cutting seek corresponding technical solutions and measures to compensate for the defects of dry cutting. The advantages of dry cutting are still very obvious, and dry cutting will certainly become one of the development trends. CalstarÂ® Solvent Recovery Machine Recyclable: washing solvent, acetic acid esters, halogenated hydrocarbons, three ethyl chloride, trichloroethylene, solvent oil, isopropyl alcohol, acetone, butanone and cyclohexanone, days that water, wash water gun, banana water, plate washer water, wash water network, wash water, white oil, hand washing water, diluent, washing water, ink cleaning agent, ethyl acetate, toluene, xylene, toluene three, four toluene, banana water, alcohol, ethanol, butanol, two glycol solvent waste and dirty etc..
CalstarÂ® solvent Recovery Machine using the distillation principle: by heating the evaporation of solvent into a gaseous state, the steam into the cooling system to flow out, so that the recovery of organic solvents. So as to make the waste, dirty, old organic solvent recycling, recycling and reuse. Both can save a lot of procurement costs, but also to reduce the pollution of the environment. Previous: LED ceiling lamps companies are often the killer?